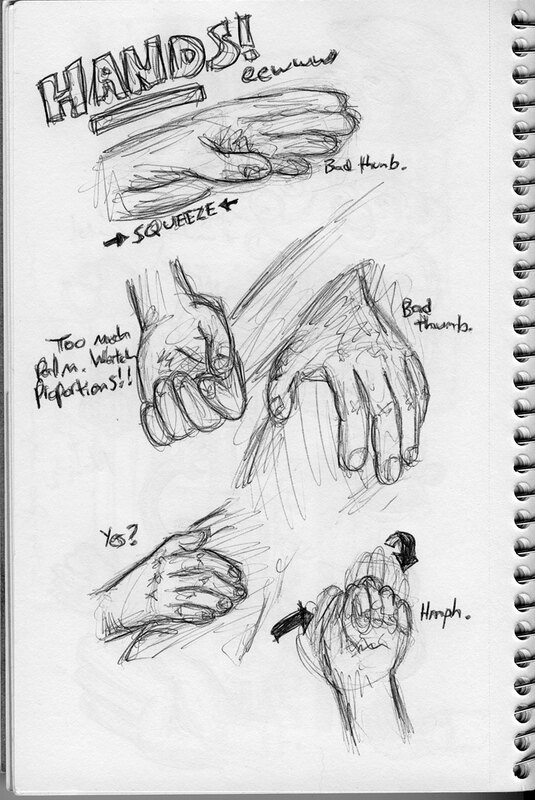 Some poorly drawn hands I drew while at the laundromat a week or two ago. Blogging is hard. It’s hot. Ugghhh. Posted on July 9, 2008 in Sketchbook and tagged hands, ink, laundromat. hey… a couple of those are my hands… hee hee.